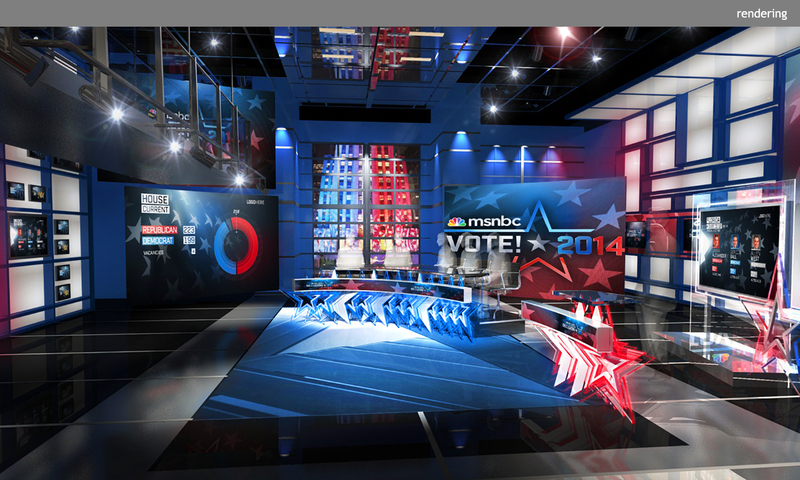 NBC and MSNBC used a patriotic star motif to set the stage for the 2014 Midterm Elections. 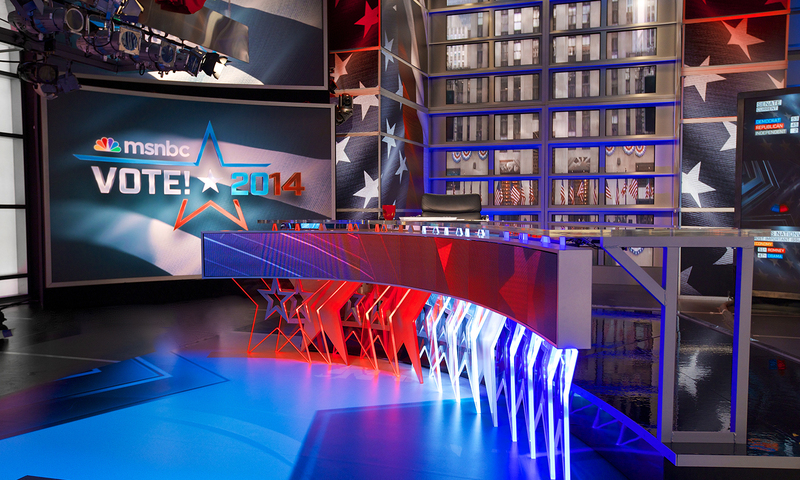 Studio A at MSNBC featured a five-person desk in the form of a long, curved glass rectangle mounted on a sweeping line of three-foot tall, LED-backlit acrylic stars, which illuminated red or blue depending on election results. The top points of the stars pierced a narrow LED band containing the latest voter data. 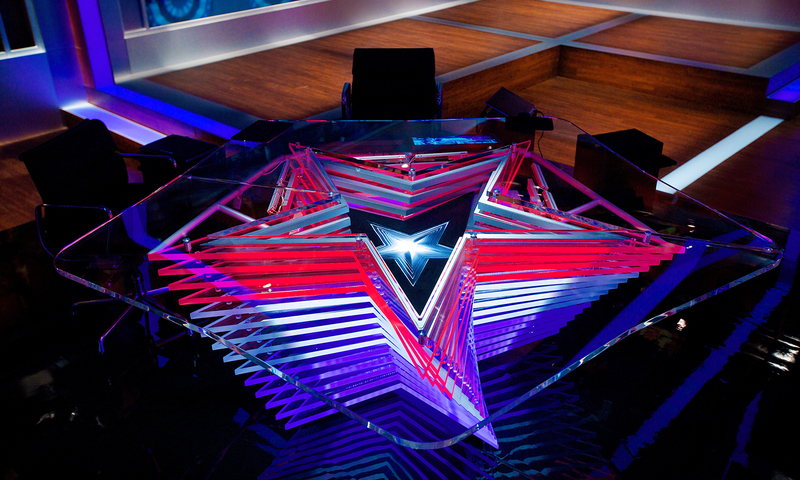 Studio B at NBC extended the theme with a twelve-foot wide five-sided desk, its base built from a stack of stars, edgelit with red, white, and blue LED. A slight twist in the stack added a sense of vitality and momentum. 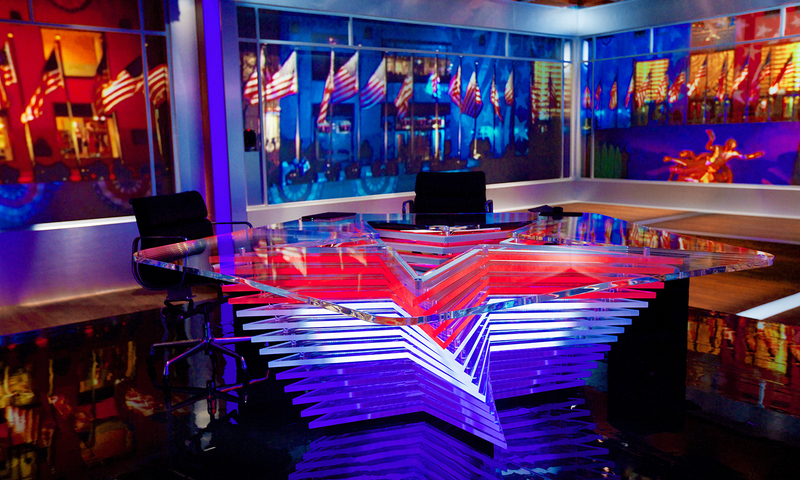 The pentagonal glass desktop allowed host Brian Williams to include four additional guests for an evening of election analysis. 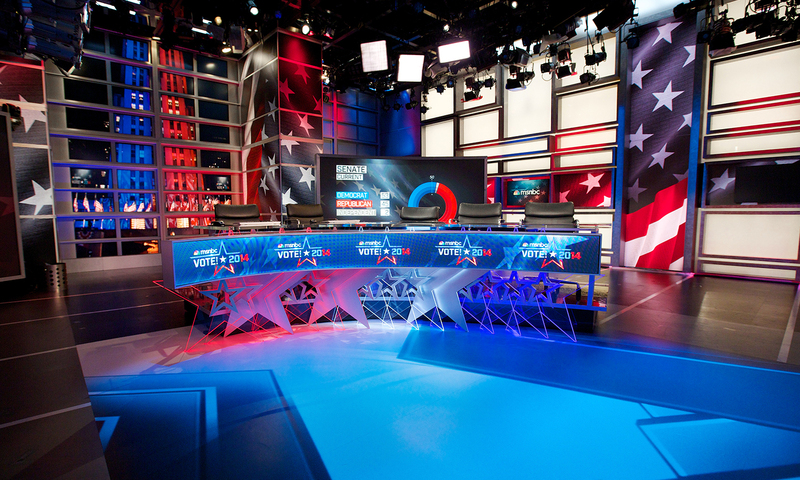 These star-themed desks served as unique election settings for politicians, pundits, and journalists to discuss, analyze, predict, and report up-to-the-minute electoral information and results.